Sometimes the easiest way to introduce your skin to a new more natural approach to skin care is to experiment a little with different plant based oils. Oils often mimic your skins natural sebum and can really protect and hydrate when you match the best oil for your skin type. You may wander through the cosmetic section of the grocery store, pharmacy or beauty retailer and see all different kinds of oils but it can be very confusing to identify which one might be right for you. When the trend to use certain exotic oils started to emerge I really wanted an in depth understanding why certain oils were better than others and why. Sometimes I think the impression is that the more exotic and expensive an oil is the better it is going to be for your skin. That absolutely may not be the case, so hold on buying that $70.00 bottle of Marula oil! We will be providing a series of in depth posts on each of the top skin care oils we see in our www.lifebyu.com skin care products. For today we will start with Jojoba Oil one of the most popular oils we see in cosmetic formulations today. This oil since it is really a wax type substance has an extremely stable shelf life which is longer than most oils. If stored in a cool, dry place, it retains its nourishing properties for 2-5 years. This fact is one reason it can be found in so many skin care formulations. Jojoba contains the fatty acids, erucic, gadoleic and oleic and it is bright and golden in color. 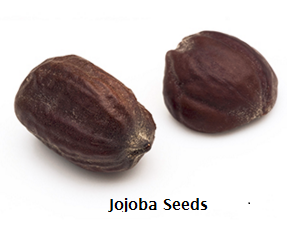 Jojoba Oil has similarities to the the oil found naturally in human skin (sebum). This fact has caused some speculation that Jojoba oil may balance sebum oil production by signalling the skin that it has produced enough sebum. Jojoba is also readily absorbed by the skin in a very similar way to how human sebum is absorbed naturally. Some studies found in the literature have suggested that Jojoba oil may have anti inflammatory, anti bacterial and wound healing properties. 1 These characteristics may support the reduction of inflammatory skin conditions such as dermatitis, eczema and psoriasis. Since Jojoba oil may possibly balance sebum production it may also be nourishing for oily/acne prone skin. Jojoba has been found to be beneficial for dry/mature skin since it has strong hydration and moisturizing capabilities which may reduce the appearance of pores, superficial wrinkles and stretch marks over time. Overall, jojoba oil may be beneficial for all skin types. Jojoba oil can be commonly found as a stand alone skin care product or in combination with other healthful herbs or other skin nourishing oils. As with any skin care product testing a small amount of the oil for possible skin sensitivity is widely encouraged.